Just like its brethren series DCUC 16, Mattel's Green Lantern Classics are finally in stock and shipping from Amazon. 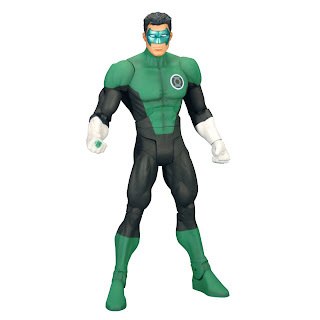 Also like DCUC 16, the Green Lantern figures are only $14.99 with free shipping available. Unlike DCUC 16, all of GLC series 1 is currently available. So buy them all and build yourself an Arkillo. Green Lantern Classics series 1 consists of Kyle Rayner , Black Hand , Mongul , Low and Maash , Manhunter and Abin Sur .